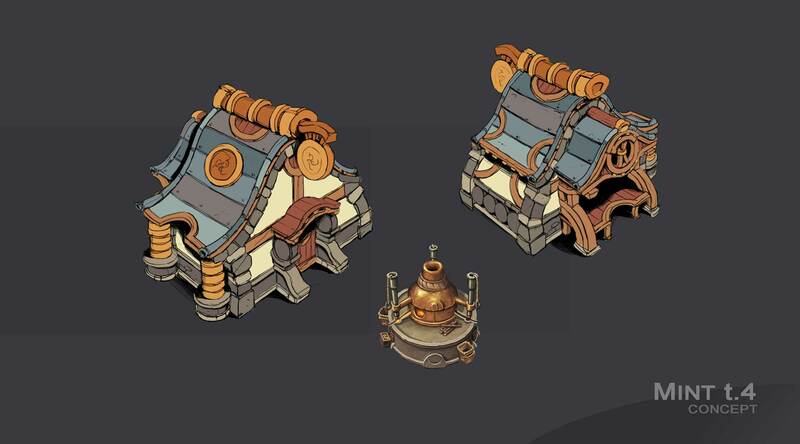 In our new series “buildings information” we introduce and focus on the different buildings in The Settlers. The series covers the buildings’ purpose, what goods will be produced and needed and the different Tiers you can upgrade the building to. We talked about the gatherer in our Townhall Blog and you heard about woodcutters and fishers, soo…let’s start with something else. 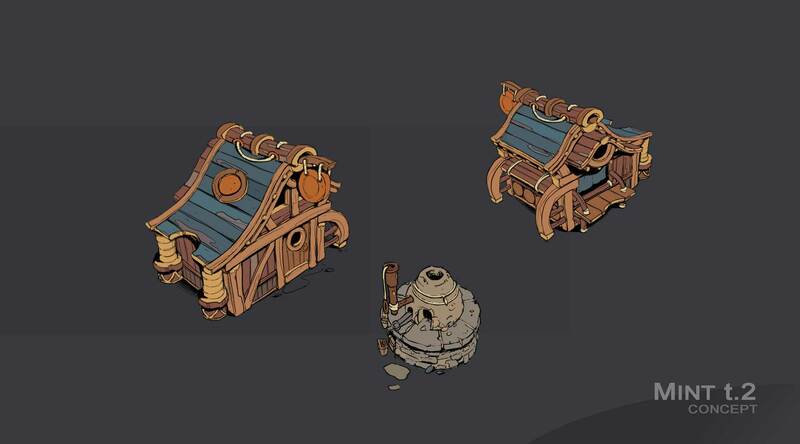 As presented in our Population Dev Blog, we need to convince additional settlers to join our new settlements by giving them coins. How do we get there? By building a Mint and produce them. The Mint is available after we have built a Townhall and unlocked Tier 2 buildings. Our sheer amount of shiny coins will convince settlers in far-away places that our settlement is a great place to live. The Mint starts at village level and can be upgraded twice, unlocking the option to produce higher value coins. At village level, two workers will produce copper coins. 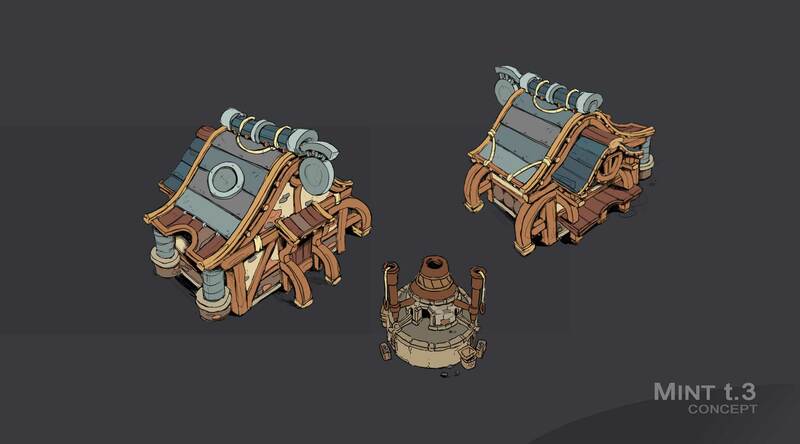 At town level, a third worker will join and they are able to produce silver coins additionally or instead. At city level we have four workers producing coins and they are now also able to make valuable gold coins. Early on, it will be enough to offer copper coins, but later we should produce first silver and then gold coins to attract more settlers. Due to the changing need of resources you might want to build new Mints closer to the respective resources – except if you’re lucky enough to find all three resources very close to each other. That’s the first of many building introductions. Do you like this format? Is there anything else you’d like to know or do you have any suggestions on what we can do different in future articles? Let us know in the comments. What’s the ETA on release? Love what you are doing with the mints! to attract more settlers! very interesting! I’m absolute in love! with this art style! This is shaping up to be absolutely incredible!! this is looking very much like an ACTUAL settlers game! After playing every settlers game since the original game on the AMIGA platform, I have forever been in love with this franchise from my beginnings of being an avid gamer. I do have a question about combat though and how that will work? do we expand our borders like the original games with forts? Do we need to gather gold to improve our soldiers? 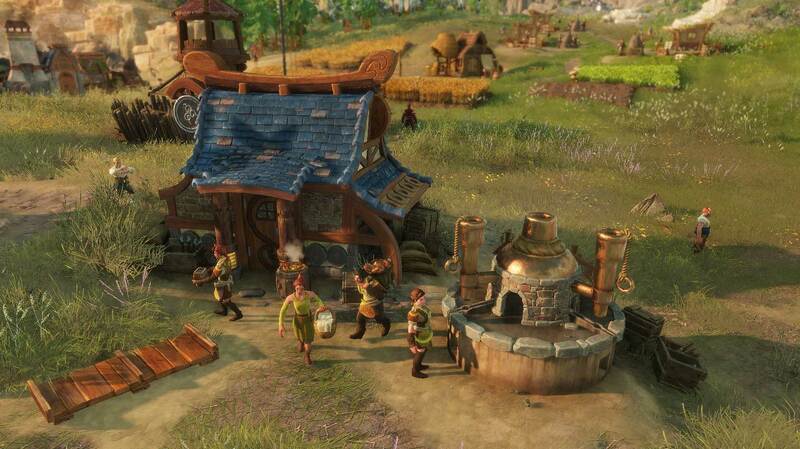 Heritage of Kings & Rise of an Empire brought the franchise back after some not so good settlers 3 and 4 in my opinion but has since lost its way for a very long time in this regard to I hope its back to grass roots when it comes to upgrading your soldiers and the way you expand your empire. Thanks also for making another settlers game. I loved it when I saw the announcement trailer, and looking over these dev blogs it REALLY looks like you guys are producing an absolutely incredible settlers game once again. I like the ANNO series, but my love has always been the settlers games and I really appreciate UBISOFT and BlueByte coming back here in a world of MP games and battle arena’s. It’s great to see your excitement, thank you for your comment! Combat and military will be addressed in detail in future blogs so I don’t want to give too many details yet. The only thing I can say is: The combat will not be quite as passive as it was in The Settlers 1 and 2. The expansion topic will work very similar to the old titles – we’ll have a blog about just that topic tonight! And since you already asked about a release date: currently ETA is Fall 2019. Sounds good. but i have one question, you say that we will have to upgarade the mint to produce silver and gold coin to atract more settlers, but will the copper and silver become irrelevant when you upgrade to gold? or is it still possible to make copper coins and attract some settlers with them? I don’t knowbut i think it should be possible to produce all 3 kind of coins at a fully upgraded mint so you can choose how many settlers you will atract with the coins for varius resons, can you follow? and to ensure that opper and silver wount become irellavant for coin making later in the game. You can still produce copper and silver coins even if you’ve upgraded your mint to the maximum level. What you have to keep in mind, though, is: The bigger your settlement becomes, the more coins you will need to attract new settlers. And at some point you will have to switch to silver and then gold coins since copper (or silver) coins don’t do the trick anymore. This means in the lategame copper coins will basically be worthless – but you still need copper as a material to produce tools. Good format for presenting buildings. I like the designs of the buildings, I would actually love to have one in my backyard 🙂 to use as a shed. To live in one hmm… would be too much for this day and age.